This degree program is excellent for students who desire to conduct paranormal or parapsychological research, start and lead a paranormal investigation team, write books on paranormal topics, present lectures and talks in the paranormal field, and more. Despite the general critical opinion of paranormal research among the scientific community, paranormal science is perhaps among the noblest of callings because it directly impacts the human condition more than most other fields of study. 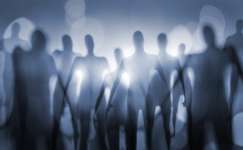 Paranormal research has the potential to make life-changing discoveries about human existence, extraterrestrial life, and our place in the Cosmos. For example, proof of life after death and/or proof that we are not alone in the universe would be the greatest discoveries of all time and have immense meaning for our lives. Paranormal research involves nearly all metaphysical concepts. The Paranormal Science and Parapsychology Degrees cover all aspects of paranormal research and parapsychology giving students a broad base of knowledge. These degrees also include training in Ufology so students are cross-trained in all aspects of paranormal research. A CPI (Certified Paranormal Investigator) designation and certificate is issued upon completion of Course A111. Students who have completed the CPI course (G400) at TFU, ParaNexus Academy, IMHS, or ICHS within the past three years may request a tuition credit of $125 toward Course A91. Contact Admin for more information. Completion of this degree qualifies students for free certified membership in the ParaNexus Anomalous Research Association. Full Pay Plan: $1,165 Pay the tuition in full and deduct $100. Total tuition: $1,165. With this plan, you will be enrolled in all of your required courses immediately upon enrollment. 6 Monthly Payments of $210.83 6 equal automatic monthly payments of $210.83. With this plan, you will be enrolled in as many courses as your current student account balance will allow. Once a new monthly payment is made, you will automatically be enrolled in more courses. PayPal account required for automatic payments, or we can set it up for you over the telephone using your credit/debit card. We can also customize a payment plan for you. $145 Down, then Pay-As-You-Go Pay $145 for your first course and application fee during the enrollment process, then pay for each course individually as you go. Courses range from $75 to $125 each. Students who choose this plan can simply enroll themselves by finding their next course on the Course Descriptions page and clicking on the "Enroll" button next to the course title. Students will always be informed of their next course upon completion of the previous course.